We've been starting this year off right by enjoying a great collection of new contemporary Christian albums. 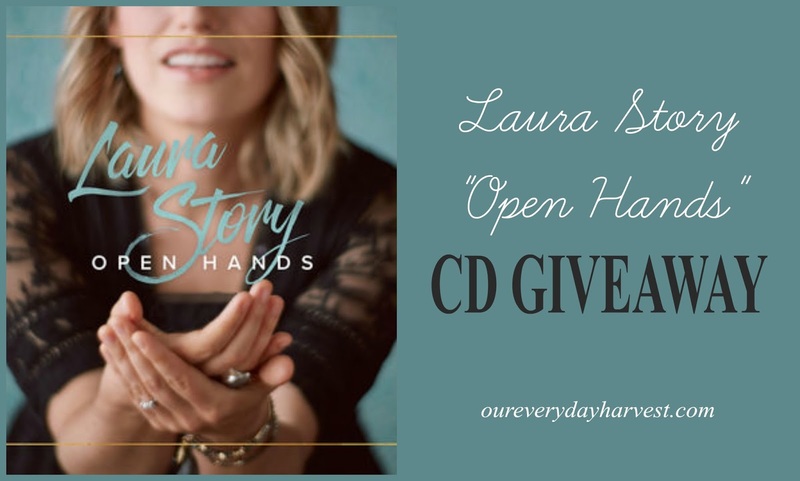 Recently, I had the opportunity to listen to Laura Story's newest CD, Open Hands, and I have to tell you that it's awesome! It's hard to pinpoint which song is my favorite, because they're all really, really good. The first song on the CD, Death Was Arrested is such a powerful track! It's all about how Jesus died on the cross for us, making the ultimate sacrifice to cleanse us of our inequities and make us new. The title track Open Hands is definitely a top contender. It features Mac Powell from Third Day, another band that we also enjoy listening to in the Our Everyday Harvest household. There's nothing like listening to songs about the glory of the Lord and His grace! What a wonderful reminder of God's love for us. 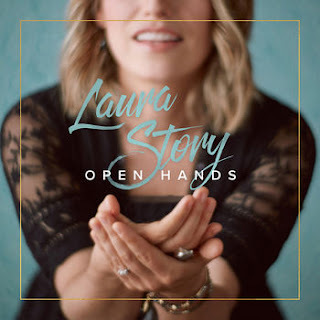 If you are looking for new music to add to your collection, the kind that will lift up your spirits, then Laura Story's new Open Hands is one to add to your playlist. What a blessing that I was also offered the opportunity to give away the new Open Hands CD to one Our Everyday Harvest reader! I'm so excited, because this is such a great album! 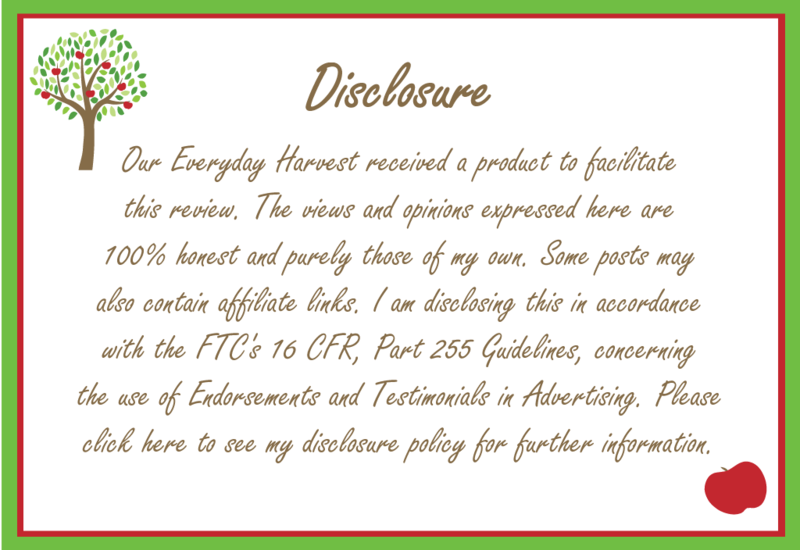 To enter, please follow the Rafflecopter prompts, below.